UPF 50+ fabrication protects the skin during outdoor activity by blocking harmful UVA and UVB. Small elastic loop at the front hem that can be attached to your shorts. Fasten it to your boardshort to prevent the top from riding up when you surfing or swimming. Secure zip pocket at the back, so you don't have to worry about where to put your phone or wallet anymore. 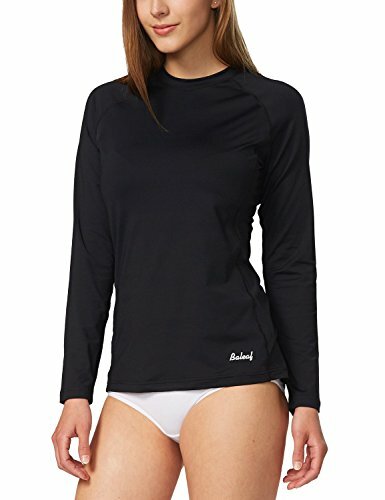 Modest crew-neck offers added sun protection. Regular Fit: Fits close to your body, but not tight.